We had a rollercoaster of a weekend with weather ranging from extreme heat to typhoon type rain. After all of these challenges we managed to come away with Carl leading the Norwegian Superbike championship by 6 points, being joint first in the Nordic Championship, Martin Scoring his first podium and Marty winning both Norwegian Supersport 300 races and leading that championship. Carl hasn't raced at Karlskoga in a few years and has never had the chance to test his Yamaha R1 in the wet. 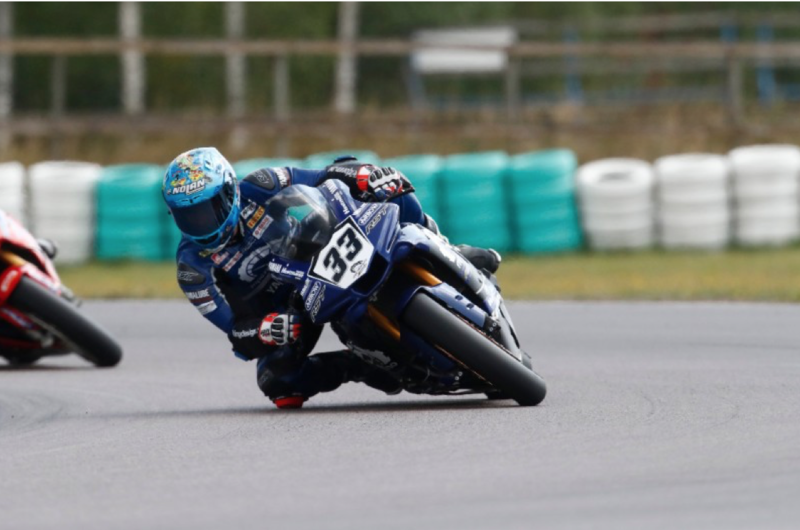 Practise was a good chance for Carl to get familiar with the track again but race one was held in extremely wet conditions where Carl got a solid Podium position and impressed everyone by riding a brilliant wet race for the first time on this bike. Carl then went on to further impress everyone with an agressive and masterful drive up the field in the second race where he got a 1st place and took over the lead of the championship. The mixture of a brilliant bike, a well organised team and fantastic support from Pirelli tyres and KTech suspension really shone through this weekend and showed the strength of Carl and the team around him. As usual Martin continues to impress us more and more each weekend. He had two challenging races with lots of red flags and people crashing and he managed to make his way through all of the chaos and get a 3rd & 5th Place. Every session that Martin rides on track he gets faster and faster and he rides the bike so smoothly that it's very exciting to watch. Marty CochraneUnfortunately after destroying his superbike at ACR Marty was unable to race it at Karlskoga and had to just ride the Yamaha R3 in the supersport 300 class. This is a lot of fun and it's amazing how much riders can still learn from riding these small bikes. Marty is leading this championship and is working hard to get more interest from Senior riders to join this really fun and exciting racing class.